Deep down, I believed a story could change us, and that if we read it deeply enough, a good book could transform our souls. Maggie, a passionate and zealous English language arts teacher, has been given the assignment of her life – to home-tutor a sick child (Yuri). Yuri, child of Ukrainian immigrants Sasha and Katya, has spent most of his life trapped indoors due to a heart condition. You only get to be a kid once in your life and I’m not getting that chance. He has to take special precautions not to over-exert himself…which results in him spending most of his life sitting on the wayside. Luckily, Maggie is able to bring him out of his shell…and through the process, she learns a thing or two along the way. I really loved the perspective of Katya and her husband, Sasha, back when they were in the Ukraine. 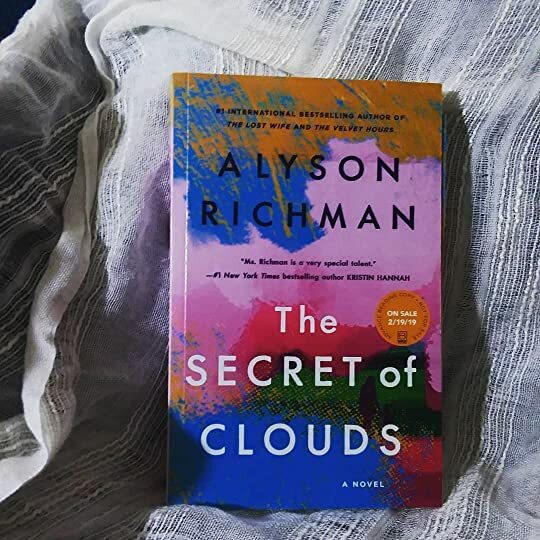 Katya spent her early years as a Ukrainian ballerina and Richman does a truly excellent job of not only setting the scene, but also breathing life into those events. I was completely enthralled by the Chernobyl events – from Katya and Sasha’s frightened first days to their daring escape. I also loved the love for literature. All of the books mentioned made me want to head out and pick them up all over again. Ever since I had first left home, I brought with me one of the books I had ever loved. Unfortunately, there were a few areas that just didn’t click for me – and those mostly centered on the main character, Maggie. Throughout the book, Maggie was constantly a plucky, kind and hyper go-getter. Her character is the kind that belongs in Anne of Green Gables – but in the later books, where Anne is so happy and good that you start to wonder what she is on. “That’s what my mother always says about me. I’m always trying to find a sliver of light, when everyone else sees shadows. It’s the romantic in me.” I smiled ruefully. What I’m trying to say, Maggie’s character just got to be too much for me. Someone with only highs and no lows does not give much depth to the character. She never (ever) has a struggle that lasts more than a few pages and spends so much time wallowing in mild self-pity that I ended up not having pity for her at all. “I think it does,” I said, sobbing. And, then there’s poor Bill. A saint personified, I reply. Bill is Maggie’s boyfriend of six years who (from the first chapter) you can tell he’s going to be dumped for the hot (and sensitive) music teacher at Maggie’s school. But, even though I knew it was coming, I was still interested in seeing how this would happen. And let me tell you, the evidence is appalling. Dad offered me and Bill cups of the cider, but Bill asked if there was any beer. I bit my lip. It’s not that my family was all that sophisticated, but we had our rituals. Spiced cider on Thanksgiving. Mulled wine on Christmas Eve. Was asking for a Coors on Thanksgiving really necessary? And if that wasn’t disgusting enough, he has the nerve go out for drinks with an old school friend (once) in six months, to call her educational job as “practice” for motherhood (in an offhanded, excited-for-the-future way) AND to watch TV when he unwinds after work. “You know what I’d really like?” I said, my voice rising, “It’s for you to…make me a damn fire!” I pulled the remote from his hand and shut off the TV. Sarcasm aside, I honestly wondered if we are supposed to side with Bill on this relationship thing. I just cannot see how having two beers on a thanksgiving night or gently poking fun at Maggie’s family’s overly-thankful gift-opening routine constitutes any sort of violent reaction on Maggie’s part. The way Maggie treated him just broke my heart. For example, Bill helps his family pick out presents for her and they’re all warm-and-fuzzy clothing (cause Maggie always complains that she’s cold – not that the audience hears that, it’s just something we were told to accept). Perhaps I had made a few too many comments that I found the cottage a bit drafty, but I was just hinting that I wanted Bill to make a romantic fire. She then proceeds to give him a watch (a passive-aggressive gift of “time” to hint that they need to spend more time together) and then exchange all of her presents for a slinky New Year’s Eve dress. She just seems so unnecessarily cruel to the poor guy that when she finally broke up with him that I was honestly cheering for Bill – he deserves to be happy! I think that in order for Maggie to be justified in her actions,the book needs a reversal. Just swap all of their actions so that Bill becomes the cruel one then it’ll be clear that breaking up with Bill would be the absolute best option for Maggie. Other than that, my other, other sticking point was that this one felt predictable. There was no mystery regarding what happens. And this is coming from the perspective of someone who NEVER is able to predict ANYTHING. I’m literally the worst at finding foreshadowing (I went through all the HP books when I was 10, fully expecting Harry to die at the end of each book…). Those were my main sticking points…And looking back, I honestly just think it was the character of Maggie. Everyone else in the book was fine – her violin-making father was wonderful, Katya’s struggle was beautifully done and Yuri was a bit too sweet at times, but I’ll give him a pass. This book had so much potential, but all the focus on Maggie just marred it a bit for me. I feel like I’m back in middle school. I thoroughly enjoyed (or enjoyed thoroughly) this review, Miranda. “There was no mystery regarding what happens. And this is coming from the perspective of someone who NEVER is able to predict ANYTHING.